An elegant look for less, this short bodycon plus party dress is affordably priced under $50. 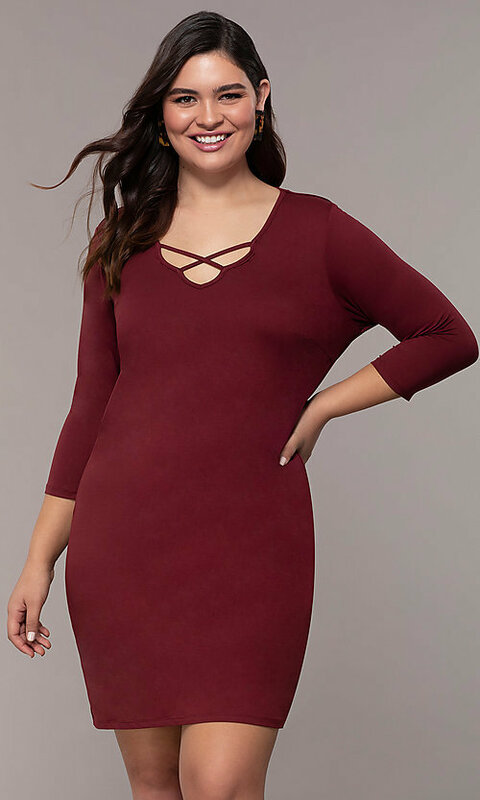 A chic criss-cross strap detail graces the v-neckline on the tight jersey dress that hugs the curves in a sheath style. Adding a modest touch, three-quarter-length sleeves extend gracefully from the fitted bodice. 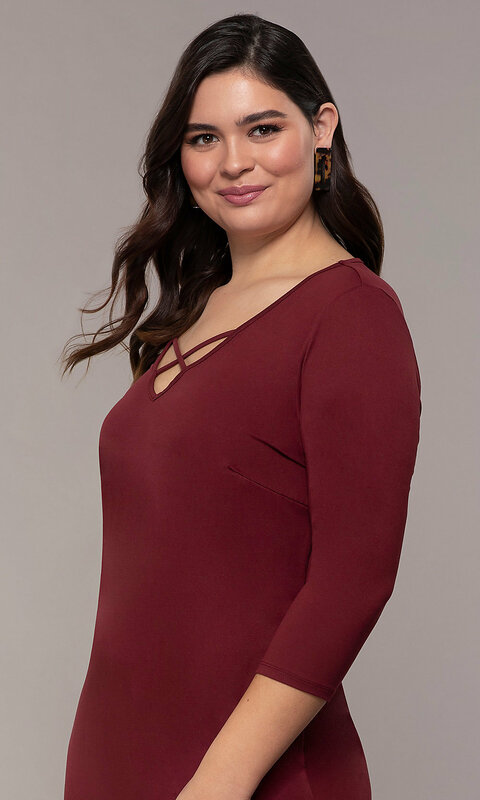 Wear this plus-size party dress with sleeves to semi-formal parties, weddings, and more. The model is 5'11" and wearing 2" heels.